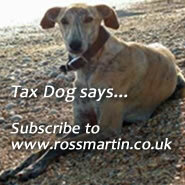 Authorise an accountant or adviser as your tax agent for dealing with HMRC. This can be performed online provided that you have registered to use HMRC's online service and have the correct agent code. A simpler method is to print out and send in a Form 64-8 by post. 1. Request a Government Gateway account. 3. Self-assessment online will be available in the online account once the registration has been completed. Request to align VAT quarters with company accounting year end. You must pay electronically, or by direct debit. A contractor must register with HMRC before paying their first subcontractor. To register as a contractor follow the process for setting up as a new employer. A subcontractor must register with HMRC to reduce the tax deducted by contractors to 20% or to nil if they are eligible for gross payment status. Fill in the online registration form.